For Wordless Wednesday, I thought I'd share some of my Instagram photos so you can take a peek at what's been going on in the Pawsitively Pets house. Last week was incredibly busy. We went to Schlitterbahn Waterpark, Lake Travis, and a birthday party. Shorts are fun to play in! These two guys have so far turned out to be pretty mischievous. Much more troublesome and messy than Nibblet ever was. 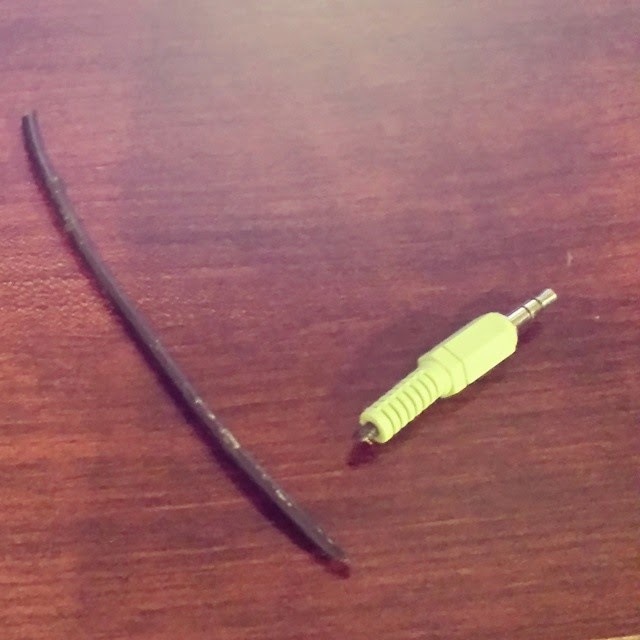 One of them chewed through my computer speaker cord one day. They do still fight with each other sometimes, but other times I catch them cuddling together. Mostly I am just monitoring their behavior and separating them as needed. Gus tired out after his bath. And because they are so messy, I decided to give them a bath. It seems like they've probably never had one before. Gus, pictured above, started defecating while I washed him and furiously tried to escape. The bath only lasted 2 minutes tops. Jack decided that much squeaking was in order. He seems like a pretty vocal little guy. I'm not up to anything, I swear! Shiner's been keeping out of trouble, even though it looks like she and Mr. Fish are up to something in this photo. And remember our vegetable garden we shared a few weeks ago? Here are some of the results of that. 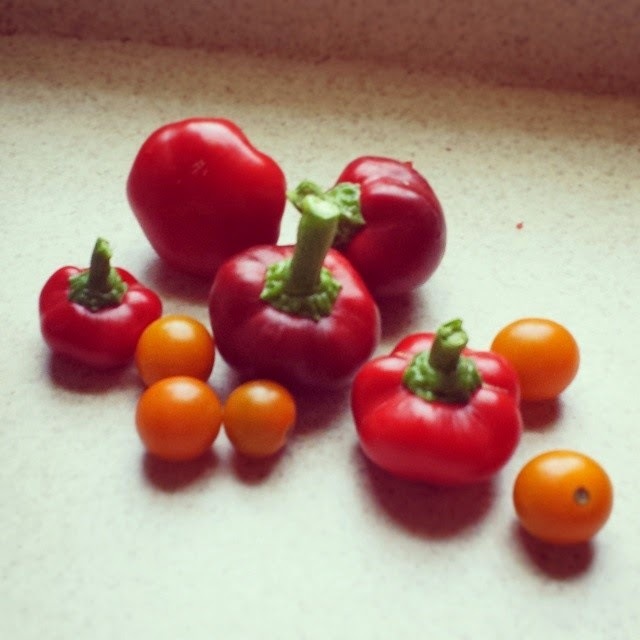 Red bell pepper and Sun Gold tomatoes. The tomatoes are orange, they don't really get red. They are delicious! We've been eating them all week, so there is way more than what is pictured. Our bell peppers are quite small, but there are plenty more growing. At least 20. Hope you all had a great holiday weekend! Let us know what you're up to in the comments! Sounds like a busy week and the veggies look yummy! Rats in a short... Is that the same like to have ants in the pants? your veggies look great, wish we had the same green thumb! Well the plants have actually almost died a few times lol... it is harder to keep things in pots than in the ground because they dry out faster. Love the rat updates. It's interesting that they fight and cuddle too. Those are yummy looking veggies! Great veggies. Rates look like they are doing well. Gus looks pawsitively exhausted! Sounds like you all had a furbulous and fast-paced week! shiner.....a werd oh add vize if we may....fry that fish up; set yur grill ta medium high N seer him both sides for 20 minits....garnish with sum greenz and a steak ore two N ya haza troo surf N turf snax !!! Shiner thinks it sounds delish! 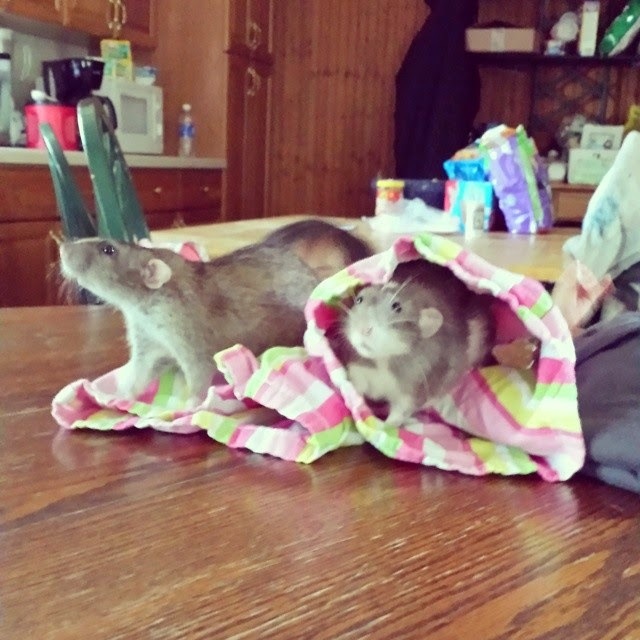 Hooray for veggies and silly rats! They're so cute, those little troublemakers. At least you'll have lots of fodder now for Monday Mischief posts - rat style! There's nothing tastier than a home grown tomato! Unfortunately I'm deathly afraid of the horrifying thumb sized tomato worms that seem to come from nowhere here in So Cal. Do you get those there too? **shudders** The horror! Lol, I feel you.... I don't think I've seen much of those but am careful about the stuff I eat. What do you wash Jack and Gus-Gus with? Well, I used some of Shiner's Gerard Larriett shampoo actually! What a cute picture of them in the shorts. Shiner looks so cute too! I love fresh, homegrown tomatoes. My mouth is watering. They're awful cute... hopefully they'll settle down a little bit once they get used to their new home. Hope they can be tamed soon....well as tame as Nimblet. This is the first time I see red bell pepper. Oh they are definitely very tame! But they are still rats and just make a little more trouble than the last one. These red bell peppers do not look like the ones in the grocery store here. Those ones are WAY bigger than these. Those bell peppers look like MexiBells - we LOVE those - nice and with a bit of spice! You know, I wonder if they are! I took a bite of one and it took me quite by surprise. Spiciest bell pepper I've ever tasted! 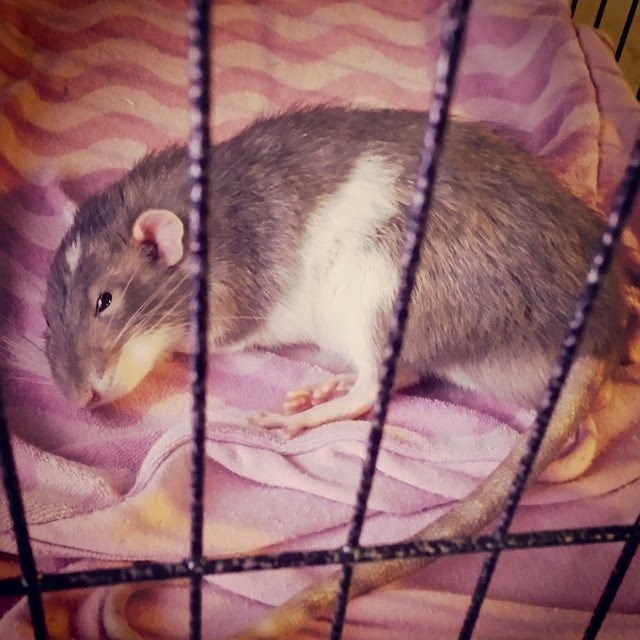 I sometimes miss our rats, especially Sugar who was a real sweetie. They can be messy for sure but still fun to play with and watch. 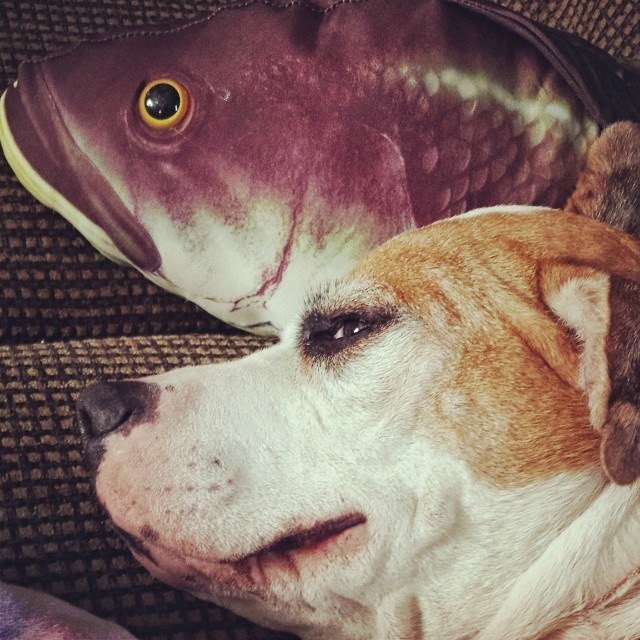 Cute picture of Shiner and Mr. Fish. Your peppers and tomatoes look yummy, nothing like fresh veggies. Hugs and nose kisses for you and yours from me and mine! I am just comparing these two to my last one, who was quite different. Quite a real sweetie too!